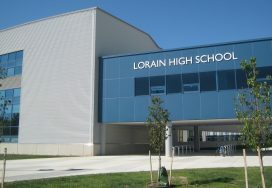 The North Central Ohio Building Trades were integral in the construction of the new Lorain High School. The North Central Ohio Building and Construction Trades Council (BCTC) serves a 10 county jurisdiction in central Ohio. Apprentices learn the skills to become master craftsmen at state-of-the-art training centers – the same places where journeymen receive upgrade courses to keep their skillset at the highest level possible. By working safely and efficiently, members have shown they are the best the industry has to offer in Ashland, Crawford, Erie, Huron, Knox, Lorain, Morrow, Richland, Sandusky, Seneca, and Wyandot counties. Carl Neutzling, President of the NCOBCTC, and his executive board are committed to maintaining the integrity of a strong union between labor and management working together to promote the interests of organized labor and its employees.